The undersigned solar organizations thank Massachusetts Governor Charlie Baker, Commissioner Judith Judson and her team at the Department of Energy Resources (DOER) for improvements made to the final regulations in the Solar Massachusetts Renewable Target (SMART) program. Several positive changes were made to critical program details for which we are grateful. Specifically, DOER eliminated the hard cap on adders, increased the competitive procurement ceiling price and made positive changes related to environmentally responsible siting of solar projects. At the same time, we are concerned about the shift away from the use of a clearing price to set base solar compensation rates and we continue to have concerns about auction mechanics. In addition, concerns with the small and residential solar program remain. We look forward to continuing to work together to improve the SMART program during its implementation and at the Department of Public Utilities. Massachusetts has been one of the strongest solar markets in the United States, creating over 15,000 solar jobs in the Commonwealth. Implementing supportive solar programs is an important part of maintaining that strong foundation. It is also critical that the governor and legislature act to raise net metering caps to continue solar growth and protect thousands of jobs. We stand ready to work together in these efforts. 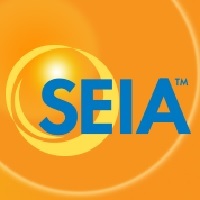 The Solar Energy Business Association of New England (“SEBANE”) is an organization established to promote and broaden the use of solar technologies and to improve business conditions in the solar energy industry. Our membership is comprised of companies that are actively engaged in the field of solar energy in New England as well as those involved or interested in the field of solar energy. Visit us at sebane.org to learn more. You can also follow us on social media.